The Fellowship was fortunate enough to obtain a copy of STAR TREK #14 from IDW Comics. The story is by Mike Johnson, illustrated by Stephen Molnar, and colors by John Rauch. This is a nice little story that I enjoyed. These original stories are just as good if not better than the classic Trek stories told in the new timeline. The fact that they took the time to focus on a character that had little screen time is cool too. Stephen Molnar’s art is top notch as well. I have been enjoying this series and encouraging anyone who enjoys Star Trek (classic or new classic) to pick up this book. 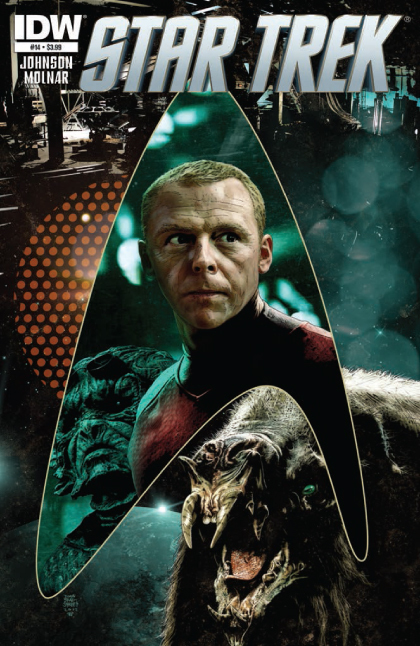 STAR TREK #14 is in stores now and available at www.idwpublishing.com.